Murphysboro Community Unit School District 186 Education Foundation is hosting a banquet to honor the inaugural class to its Academy of Distinguished Alumni. This Academy was designed to honor the successes that graduates of Murphysboro CUSD 186 have attained. “This event has been a few years in the making” said Superintendent Christopher Grode. “We began the process by soliciting nominations and after having an outside committee review the nominations, 9 were selected for induction” he explained. The initial class spans the years including; Father Tony Lehmann (Class of ‘46), William French (Class of 1949), Mike Mills (Class of 1959) Thomas Tierney (Class of 1960) David Kilpatrick (Class of 1972), Todd Thomas (Class of 1979), Jason Moore (Class of 1987), Teresa Dunn (Class of 1994), and Alex Berezow (Class of 2000). 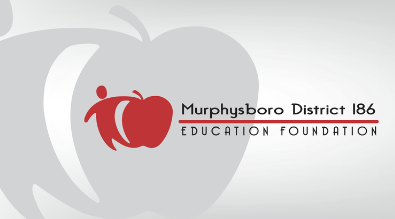 Murphysboro Community Unit School District 186 Education Foundation is proud to announce that it has selected its second class for the Academy of Distinguished Alumni. The Academy was established to recognize alumnus of Murphysboro CUSD 186 who have made extraordinary contributions to their vocations, professions or communities. Murphysboro CUSD 186 Education Foundation (Honoring our Past, Improving our Present, Preparing for the Future) requested the community to submit nominees for the Academy of Distinguished Alumni. The inaugural class comprised nine individuals and these individuals selected from the submissions nine more. An induction ceremony is being planned for Saturday, October 8, 2016. After graduating Ron Barger attended the University of Illinois and then obtained his Juris Doctorate from Southern Methodist University Dedman School of Law. Practicing in the areas of litigation, real estate, corporate and banking transactions he became a Managing Director of Goldman Sachs serving as Global General Counsel. Currently Mr Barger serves as Executive Vice President of Operations and General Counsel at ORIX USA. Enlisting in the Marine Corp after graduation Michael Bost began his service to his country. In 1982 he left the Marine Corp and immediately ran for public office. Serving at the county level, and then over two decades in the Illinois House of Representatives Mr. Bost was then elected into the 114th congress where he still serves. Leaving MTHS and then graduating from Southern Illinois University Dennis DeRossett began his career in journalism. Working for many publications including The Southern Illinoisan he currently serves as the Executive Director of the Illinois Press Association Illinois Press Foundation and Illinois First Amendment Center in Springfield Il. Continuing his involvement in student government organizations at Southern Illinois University Michael Ellis continued his political career assisting politicians both in Illinois and Nationally. Beginning as a government career trainee in the administration of Illinois Governor Richard Ogilvie, he was also active as the Illinois Director of Communications for President Gerald Ford. Leaving public service in 2003 he returned to Southern Illinois and became active in the Southern Illinois University Foundation. Continuing her involvement in student performances at the University of Illinois, Sandra Kerns moved on to Hollywood where she went on to perform in more than thirty productions. A regular for four years on “Charles in Charge”, a well known sitcom she also appeared with Walter Matthau in “House Calls” and started in “Solo”, a true story. Her complete bio can be found on IMDb. Attending Southern Illinois University Alan Nehring studied architecture and interior design. After working for several design agencies in the St. Louis area he began his own company Nehring Design. A full service design company preparing space plans, design development documents, construction documents as well as the selection of finishes and furniture they have received numerous awards and been highlighted in various trade magazines. Gary Pinkerton (1987) After graduating he received a congressional appointment to attend the US Naval Academy graduating with a degree in Mechanical Engineering. It was then he attended the University of Illinois for a Master’s in Nuclear Engineering. He went on to complete his submarine officer training serving on USS Archerfish and WSS Michigan Blue as Engineer Officer. Following this he commanded USS Tucson. After earning numerous commendations and decorations he is currently the Executive Assistant to the Superintendent of the US Naval Academy. School Safety is a HUGE priority for our district. School Safety is a HUGE priority for our district. 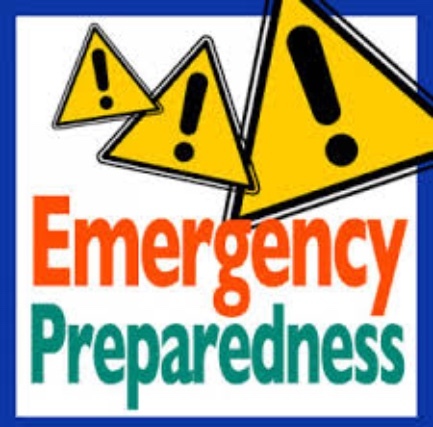 Because of this we have a yearly meeting with Emergency Responders to review our plans, discuss our drills for said plans, and explore ways to increase our communication. For example it was after one of these meetings we purchased radios that allow us to monitor the bus channel, the police channel, the fire channel, each building's internal channel, as well as an emergency channel. No matter which channel you are listening to at the time an Emergency Channel call will override and all channels will hear it. In an emergency, communication is key allowing those needed to respond. We had our meeting today as we look forward to another great year, and I once again got to thinking about being prepared. As we start this new year we will be reminding our students about our drills and the safety procedures. I suggest all families do the same. Here are a list of things I believe every family should also do prior to the start of the school year. Review with your children your evacuation plans in case of fire. Do you have a family meeting place? My family will meet at the mailbox should a travesty occur that forces us all out of the house. Review with your children your plan for storms and tornados. Have them help you ensure that space in the basement or bathroom has a flashlight, water, and other possible items you would need. Make sure that you have current contact information with your child’s school. And have an emergency number as a back up. I know with Cell Phones we feel a backup is unnecessary, but things happen and I have seen too often the backup number being needed. Should something happen after school is there a neighbor your child knows they can go to? This can be beneficial when storms are coming and we have to dismiss early. This is not an exhaustive list of things you need to do, but merely suggestions. I will tell you that your children, our students, are too important not to spend a little time to keep them safe. We just completed our safety review and will be conducting drills as soon as we get back into school. The Jackson County CEO program has gotten off to a great start. This is good news because the CEO stands for Creating Entrepreneurial Opportunities. The goal of this class is to give these high school Juniors and Seniors hands on experiences creating their own small business. Being facilitated by Ken Stoner, an employee of the Southern Illinois Small Business Development Center (SBDC), there have been numerous opportunities for the students to interact with business leaders discussing various points as the students struggle to developing their own business plan. Developing the future business leaders today is essential to promote growth in our region. Aimee Wigfall, a small business owner and a business coach for the SBDC, was a speaker at a recent class. She went through the step-by-step business plan workbook that the SBDC has to support those looking into developing their ideas into a viable business. She stressed the importance of the executive summary being brief (while including all relevant facts as to why your business is necessary) as well as the importance of your financial projections of costs and revenue to be as realistic as possible. Explaining these are the two main areas a banker will review prior to securing a business loan underlined the importance of this plan. This brief overview of the step-by-step guide can be thought of as an introduction to all the areas these students will study; such as the different descriptions of businesses and their legal benefits or liabilities, setting up operations (insurance, employees etc) and selecting a location, marketing the business, as well as general accounting principals. This class is non-traditional meaning more than just it doesn’t teach from a textbook. The class begins at 7:30 and extends to include the first period class at their high school. They meet off site visiting places like the SBDC’s Dunn-richmond building to hear speakers like Aimee Wigfall to meeting in an actual business conference room such as The Southern Illinoisan. Tim Marston, a senior from Murphysboro High School stated that “The class has been very beneficial from learning how to present ourselves professionally and communicating clearly to planning the smallest details of an event.” As a hopeful future small business owner he has been excited to be part of this class. Murphysboro Community Unit School District 186 has updated their Board Policy 7:180. To read the full policy you can find it online on the District Website under Board of Education. However the changes follow the “cyber bullying” law passed last year in the State. Bullying can be summed up as any severe or pervasive physical or verbal act or conduct directed toward a student that has or could have the effect including; placing the student in reasonable fear of harm, causing a substantially detrimental effect on the student’s physical or mental health, substantially interfering with their academic performance, or substantially interfering with their ability to participate in the services, activities, or privileges provided by a school. Bullying has not been and will not be tolerated in our district or at our schools. The new policies change expands our ability to deal with these issues. In the past, we were able to deal with bullying that occurred within our buildings. Now, we are able to deal with bullying that occurs through “on-line” means. Cyber bullying means bullying through the use of technology or any electronic communication. With Cell phones and the increased use of Facebook, Instagram, etc., we have seen an increase in bullying behavior. It is safe to say that almost all of our fights that have occurred began with an argument or comments made on-line. The new law, and our new policy now allows us to deal with the comments made by students to students through these electronic means. In other words, if a student is being harassed by another individual on-line they can report this behavior to the administration and consequences for these on-line comments can occur. The world is a different place than when I grew up. If I was having issues with my friends, or having a bad day, I could go home and not be bothered. Today, students don’t have a safe haven unless they separate themselves from their phone. I strongly urge parents to have rules in their homes such as individuals cell phones don’t go into their bedrooms. I strongly urge parents to monitor and review their students’ social media accounts to see what they are saying and what is being said to them. I strongly urge parents to control/supervise/monitor their students’ behavior in the on-line communities as they do within the real world. And finally I strongly urge parents and students to report any incidences of bullying to the schools. Anonymous reports will also be accepted and investigated. 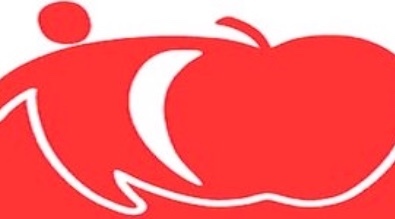 Murphysboro CUSD 186 Board of Education along with other districts in Jackson County approved a resolution placing a question in front of their voters regarding a County Facility Sales Tax. Please take the time to learn about this important issue. The extimated revenue for Murphysboro CUSD 186 1.6 Million Dollars. The Board has pledged to use half ($800,000) to abate (reduce) the levy. This would amount to $50 savings for every $100,000. The other half ($800,000) would be used to improve facilities creating jobs. Union County is the only county around Jackson that hasn't yet implemented this tax. Thank you for the overwhelming support of the County Facility Sales Tax initiative. Now that the election is over and the votes have been canvassed and certified, we can move forward on our respective promises for the use of the Facility Sales Tax. In the coming months, each individual Board of Education will be discussing priorities as they pertain to the facility and maintenance needs of each district. Some districts will also have the opportunity to determine their ability to abate a portion of property taxes for previously sold bonds as a use of the sales tax revenue. We want to take this opportunity to share with you the associated timeline as it relates to the implementation of the County Facility Sales Tax. As you can see, the sales tax goes into effect on July 1, 2017 and the first payment to each District is expected in early November 2017. We want all Jackson County voters to have accurate information about the implementation of the County Facility Sales Tax and how it will impact our schools and communities. Please feel free to contact your local Superintendent with any questions or concerns. Again, we thank you for your assistance and support for the schools and most importantly the students of Jackson County. 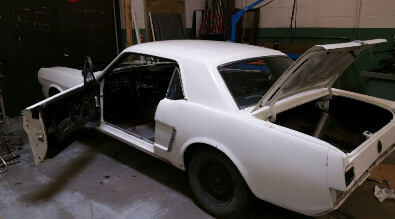 Last year the Murphysboro School District accepted a generous donation in a 1965 Mustang. The Automotive Classes along with the Manufacturing Class have been restoring this vehicle back to near vintage condition. The car is nearly complete at this time. The car is being raffled. Tickets are $5 each. Mr. Tripp intends to sell a total of 2000 tickets. The funds raised will go to support the vocational department and the Career and Technical Education we have at Murphysboro High School. Tickets are available in the office between 7:30 and 4:00.